My mom has what many would refer to as “good hair.” Soft and long, fluffy with curls you could see with the naked eye. Not me. My hair is from my dad’s side. Thick and full. Fine, but coarse. Getting my hair done was always a nightmare because it took forever and because I am tender headed. I remember I begged my mother for a relaxer. I dreamed it would make my hair straight and free like my friends’ hair, at least easier to comb. She had rules though: no relaxer until middle school, and no makeup until high school. So I waited. When the day finally came for me to experience the chemically induced relaxation process commonly known as the “perm,” I could not be more excited. Though my mother tried to stall me, “Wait until college,” I had made up my mind. She always said that I am “one of those,” and so she didn’t try to stop me. My life was about to change, I was sure of it. I had heard the stories of women who got relaxer only for their hair to fall out. But they weren’t me, and I’m not them. So I went to my aunt’s salon and I sat in the chair. My mother only trusted family to usher me into this coming of age. I imagined my face under the hairstyles on the Just for Me Box, and I remember I nearly burst with anticipation. As she applied the creamy white relaxer to my hair, I noted that the smell was nothing like I had expected. Industrial. Chemical. She washed and washed until the pink bubbles turned white. She combed my hair, and I noticed it didn’t hurt. She dried it, and I noticed that I could feel the weight of her touch on my scalp. (See, my hair was so coarse and thick, that the only time I felt touch on my scalp was when my hair was parted.) Everything was new! She blow dried it and I noticed it fell with gravity, blew with the wind. I was in awe. I finally had “good” hair. In that moment, I felt that my life had changed. Women commented on how shiny and full my hair was. Asked what relaxer I used. “Sarah’s hair never takes relaxer that well.” “That must be those African roots, they got strong hair.” I beamed with pride. “How you get her edges so thick?” “How you keep the hair from breaking off.” As I got older, more and more of these questions were directed at me instead of at my mother. “You got tracks in?” Other black people couldn’t even believe it was my hair, with it’s thick body and healthy glow. People patted me on my head, disguising an attempt to feel for tracks with an affectionate gesture. By high school, I had developed a regimen. A month relaxed and kept in a wrap, 3 months braided up. And I alternated. Until one day, the hairstylist told me my ends were damaged. Trim. My hair was uneven. Cut. My hair was still beautiful, but it was now a bob. Unassuming. Full, but short. Bouncy with shine, but a shell of what it once was. So then I braided it up and tried to forget. I did what many black women in my situation do: I went natural. Going natural felt like I was inducted into a sort of club. I got to know other “natural” girls at my college. We talked about “cowashes,” essential oils, deep conditioners, and sealing ends. We ate over chats about length checks, moisture retention and protein treatments. We gushed over sulphate free shampoos, twists outs, and other protective styling options. It felt like we were all a team, working towards a universal goal. We cheered each other on, supported each other. 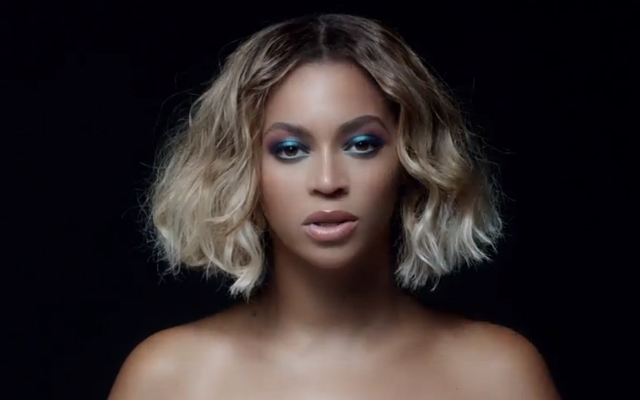 We ooed and ahhed over afro’d selfies, gasped at length updates. We jokingly referred to relaxer as the “creamy crack,” and we were the AA. Reformed addicts. For a while it felt good to be in this club. This sisterhood. But as time went on, I came to the realization that I wasn’t happy. My hair was stressing me out. I didn’t have time to cowash, deep condition, seal ends, de-frizz, detangle, twist, twist out, and be a full time student. I didn’t enjoy length checks that were masked by shrinkage. Natural was not for me. So I made the switch. I began texlaxing, and wearing “weave.” Interestingly, I felt a degree of shame over this. I felt like I was selling out. My natural friends shook their heads and smiled, said they understood. “It’s not for everybody.” I no longer made the cut, and I felt the distance. Without our hair journey we had little in common, and now I was on a different path. I was made to feel that I was giving in to societal norms, admitting that black traits were inferior. From my white girlfriends, I got a different reaction entirely. “I love how you can do so much with your hair,” became a redundant reality instead of just a funny line in a viral YouTube video. I was unrelentingly questioned by guy friends who wanted to know if my hair was “mine,” until one of them decided to ask me about it right before an exam as the professor was handing out the questions. Needless to say, I snapped. Me: “Is that shirt yours? Here is the thing: I didn’t relax my hair because I don’t like my natural hair. With age I came to see how misguided I was as a child. I now admire women who can devote the time to manage their hair in its natural state, the same way I admire women with small children: Not for me at the moment, but props. Please know that you’re not more down, up with the struggle, or more enlightened than me and your relaxed counterparts. 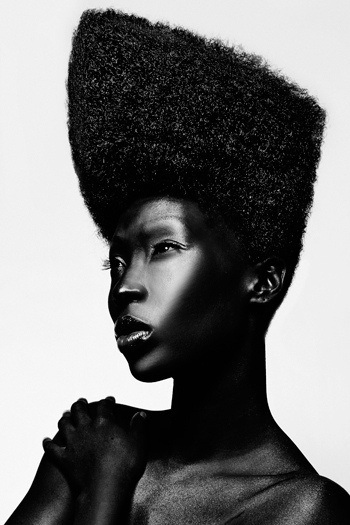 You do not necessarily love yourself and your blackness more. You just have natural hair. I don’t wear extensions because I want to look white. I wear extensions to protect my hair from the heat and stress daily styling and wear would do to my texlaxed hair…Not that I owe anyone an explanation, but rather for informational purposes. 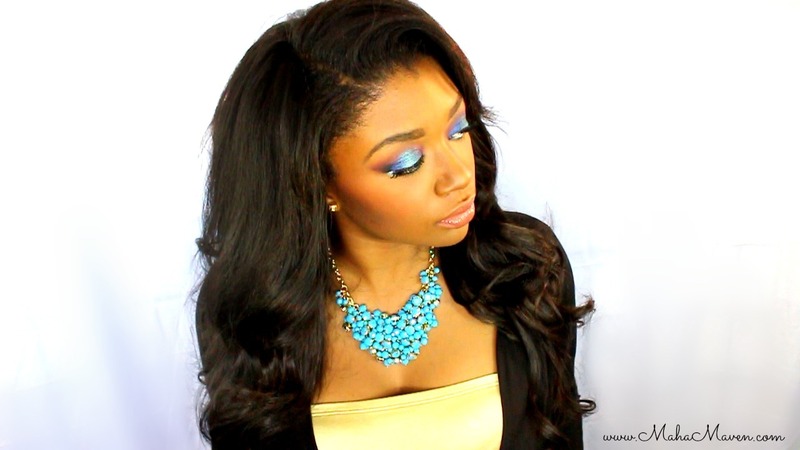 Fun fact: the hair I use is actually Chinese, texturized to look “Brazilian” ie multiethnic, ie NOT WHITE. European hair would actually be of little to no use to me, as it wouldn’t blend at all. Many other races and ethnicities have the hair texture of extensions, ie Asians, Indians, Hispanics, etc etc. IN SUMMARY: No. 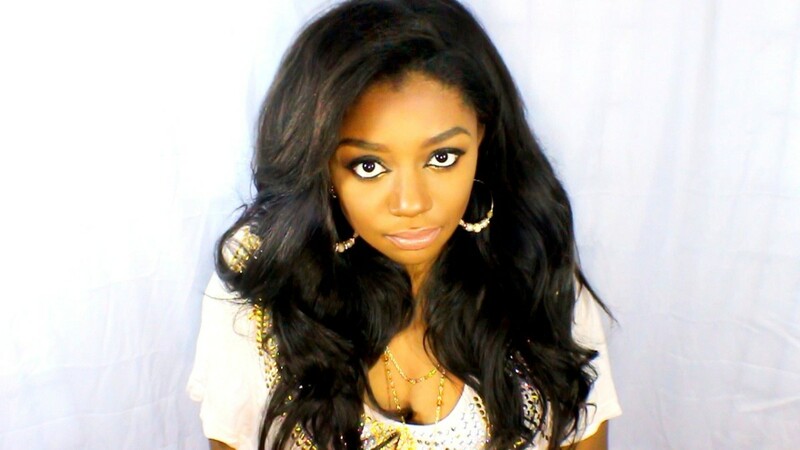 Not all black girls wear extensions. Not every black girl with long hair has weave. 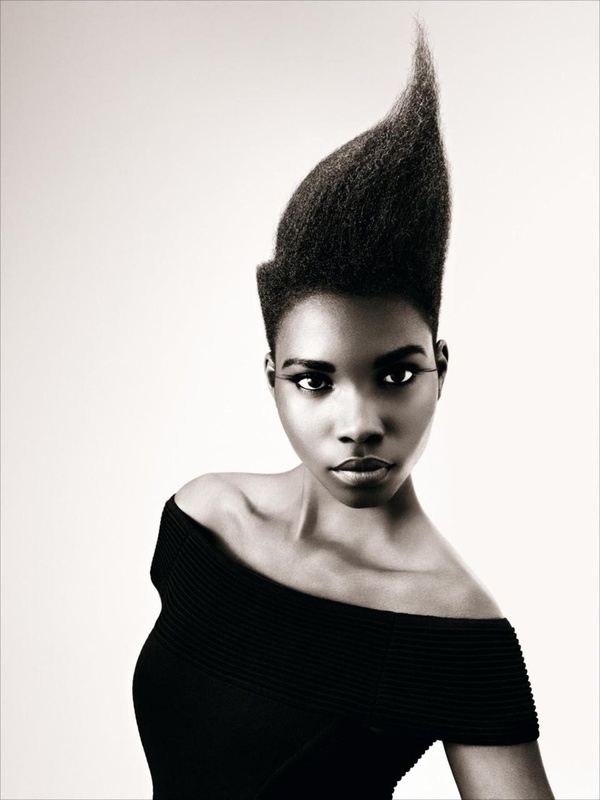 Black women can grow their hair out to be long and full with the proper care. And no they don’t need to have “something” in them to do so. The word “weave” is not a curse word or an insult so stop throwing it around that way. And wake up to realize that many, if not most, of the celebrities you find the most attractive—both black and white—wear weave quite regularly. Women with relaxer are not self-hating or sell outs, and women who have gone natural are not necessarily more self-aware. I have always said that prejudice and stereotyping are the marks of a lazy mind, so let’s do better in 2014. Now that we have some of the most common misconceptions ironed out, here’s to the conclusion. As India Arie once said, I am not my hair. My hair says nothing about the mind that resides beneath it. It tells you exactly one thing, and one thing only: this is how I like to wear my hair, right now, in this given moment. As a child, I used to resent the stubborn resilience of my hair. The way it stood up on its own and didn’t fall with gravity or flow with the wind. At almost 23, looking at this picture, I can’t seem to remember why. *The accounts here given are based on the personal experience of the author, and meant to be consumed as such. It is not intended to offend or deride any particular group of people. Hey guys! So I was watching The Humpback of Notre Dame recently, and was so inspired by Esmeralda that I had to do a look. Not to say that Esmeralda was Bohemian. I have called it Bohemian because of the big wild hair and the intense smokey eyes, as well as the all the gold and style of top I wore. It has nothing to do with the larger implications of the term, and as always, I have no intention to offend. In any case, I hope you all enjoy! 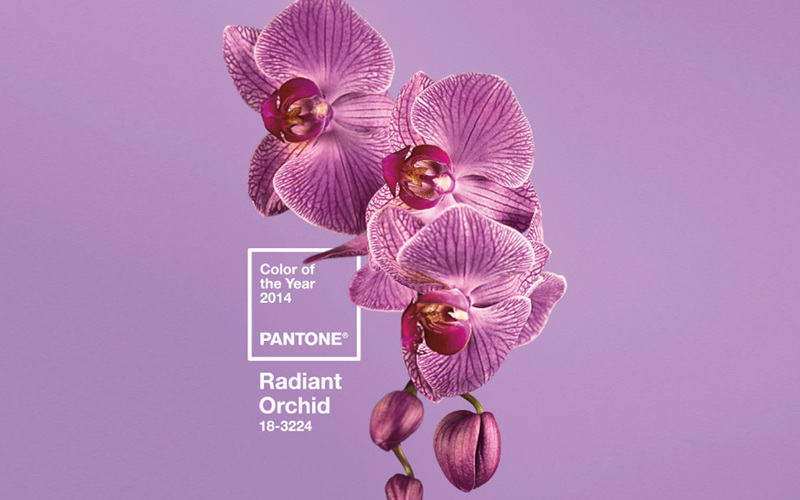 Pantone Color of the Year: What’s the Craze About? I don’t know about you, but since I heard of this color of the year thing I have wondered what it’s all about! Well, I couldn’t get over the curiosity, so I decided to do some research. Pantone is most easily described as the global color authority, standardizing color so that different companies can have a central color rubric at hand. This allows for consistency and continuity without the companies needing to be in contact with one another at all times. Most commonly referenced in beauty, fashion, and interior design, Pantone’s color of the year packs a serious trend punch as evidence by many of the Spring 2014 fashion shows that took place in New York. In the past, Pantone chose various colors for which press releases were also written. The Color of the Year in 2013, Emerald, was said to be chosen because “Green is the most abundant hue in nature – the human eye sees more green than any other color in the spectrum…As it has throughout history, multifaceted Emerald continues to sparkle and fascinate. Symbolically, Emerald brings a sense of clarity, renewal and rejuvenation, which is so important in today’s complex world. This powerful and universally appealing tone translates easily to both fashion and home interiors.” Each year, the press release contains tips for fashion, beauty, and interior design uses of the color in question. “Equally harmonious on the cosmetic color wheel, Emerald dramatizes all eye colors as it beautifully enhances green eyes, is compatible to blue eyes, emphasizes the green undertone in hazel eyes and intensifies brown eyes to make them appear deeper.” Emerald is a personal favorite of mine, so I was more than happy to see this as a trend and a little sad to see it go. 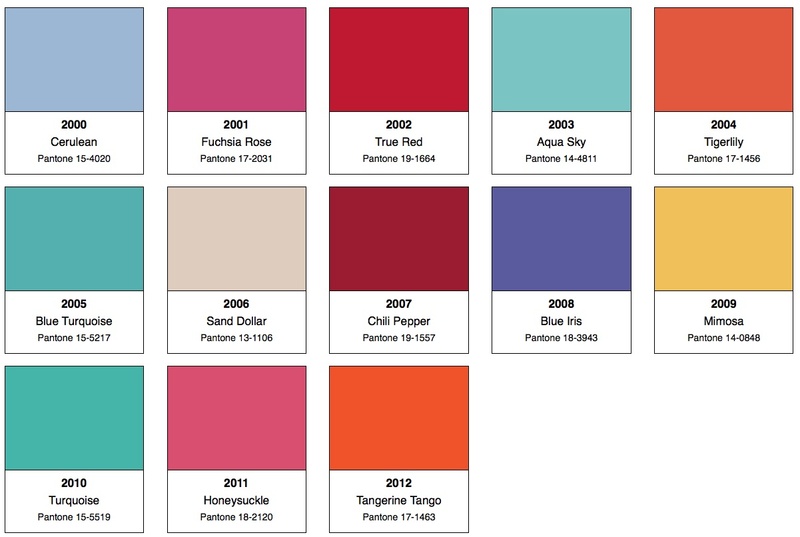 Each year, Pantone tries to choose a color that acts as sort of the zeitgeist of all colors. The quote above captures the though behind this year’s Radiant Orchid color, and colors from past years have had similar thought processes behind them. 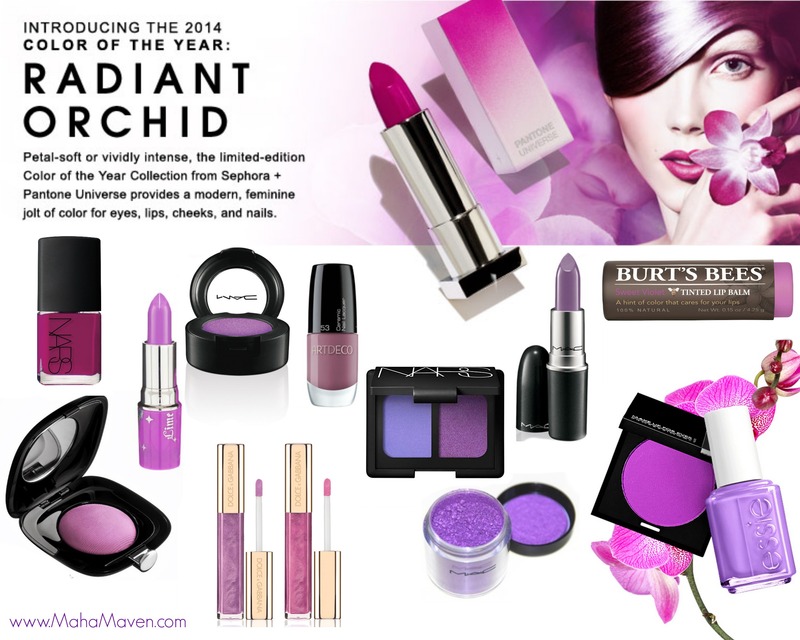 I particularly love the color of the year for 2014 because of it’s universality in the world of beauty. As described on the Pantone website, radiant orchid is complementary to a wide range of skin tones due to the warm and cool undertones that make up the color. It is also very sensual, and “enlivens” the skin. 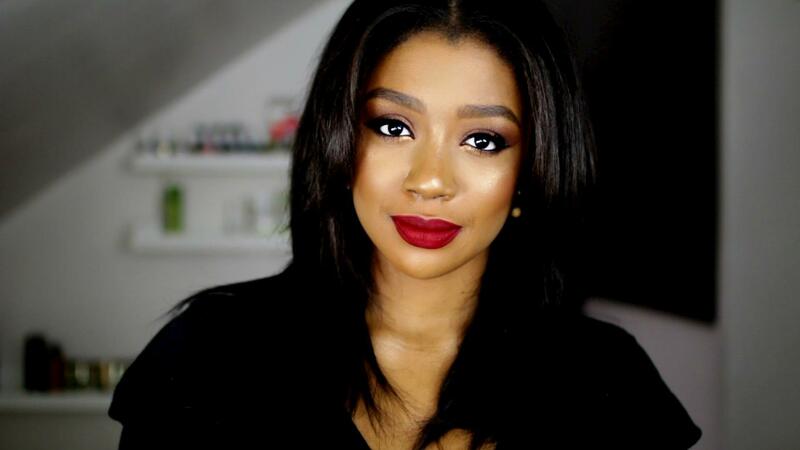 This “modern” and “versatile” shade can be used as eyeshadow, liners, lipsticks, and blushes, making it one of the most viable colors of the year when it comes to beauty and makeup. 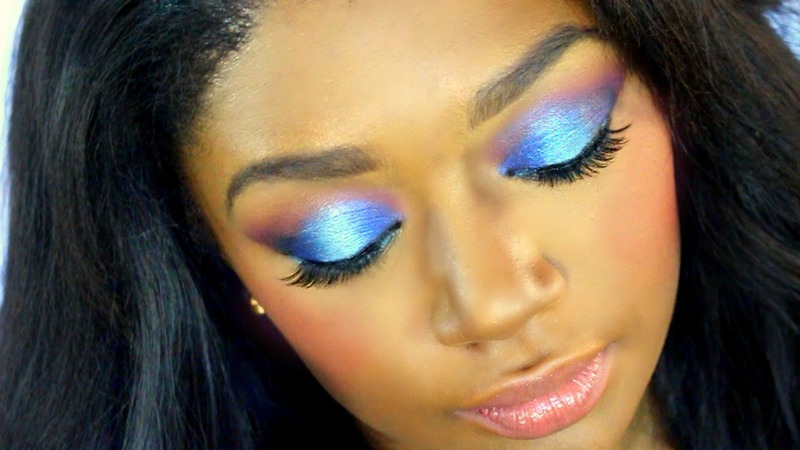 I personally cannot wait to start playing around with looks inspired by this color! The site recommends pairing it with reds, and I am definitely up for the challenge. Stay tuned for upcoming tutorials! 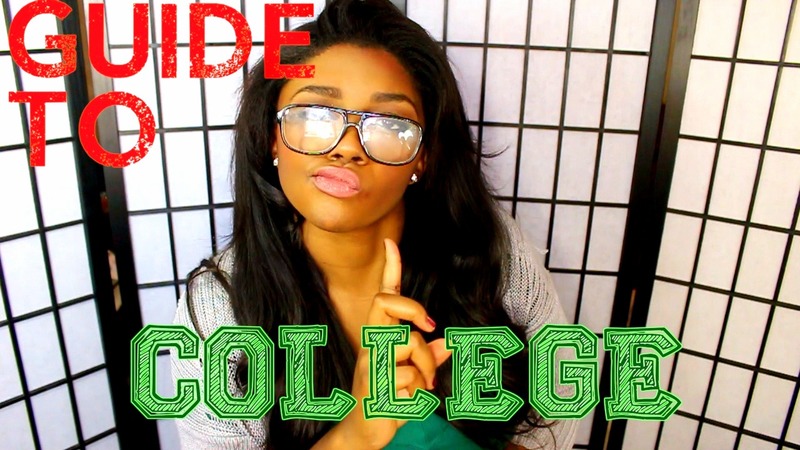 College Tips from a recent Ivy League Graduate! Hey guys! I know most people are on break right now, so I thought it would be a good idea to get this video up in between semesters! These are some of the most important tips that I personally believe really make a difference in your overall performance in college. They range from academic to personal, and when applied together, these tricks help maintain the best overall balance between the two! As you may already know from My Story, education is so incredibly important to me. As women, I know a lot of us like to look pretty and make sure the makeup and hair are on point, but I think it is even more important to make sure that we push ourselves to the limit when it comes to excellence and achievement and school is one of the best places to do that! I know education has opened doors for me that I never could have imagined gaining access to, so I hope that you will find this information helpful as you pursue your own academic goals. As my parents always told me, “Education is your golden ticket. It’s one of the few things you can acquire in life that can never be taken away. Here is my academic profile: I have been to private schools all my life. I attended two Quaker schools, also known as “Friends School,” between Kindergarten and 12th grade. I absolutely loved it and I truly believe that the Friends school system is one of the best, if not the absolute best, when it comes to providing an excellent holistic education. From high school, I went to Dartmouth College and to say I loved it there would be an understatement! It is a small Ivy League college in Hanover, New Hampshire that has ranked #1 in Undergraduate Teaching by the US News for the 4th year in a row (since the inception of this ranking criteria). I am currently taking time off after college to work and pursue a few dreams of mine before I go to college.